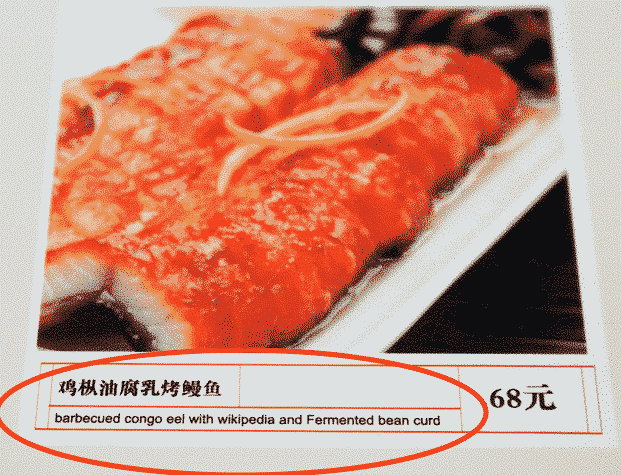 In his keynote address at CTIA 2015, Wikipedia founder, Jimmy Wales told a humorous side story about the name “Wikipedia” somehow getting mistranslated into menus at Chinese restaurants (see the included photo). 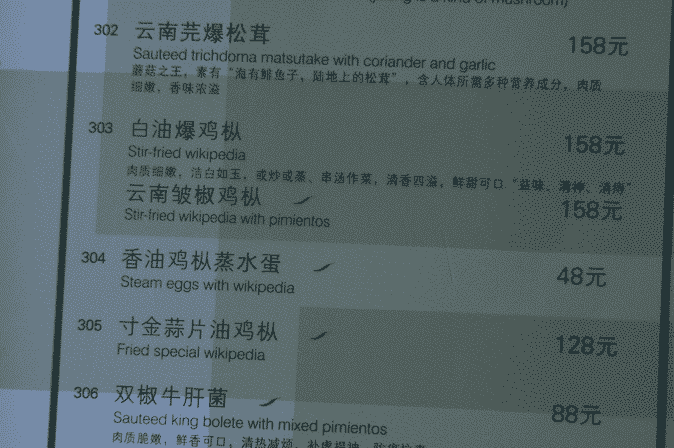 Next time I am in Beijing I’ll be sure to sample one order of the “Stir-fried wikipedia”, the “Stir-fried wikipedia with pimientos” as well as the “Fried special wikipedia” from the menu in the photo. I have no idea what I’ll get but I think I can muster up the courage to give all three a try. Wikipedia, the web-based, free, editable encyclopedia, contains over 35 million articles written/edited by over 70,000 online contributors in 290 different languages. So, as Wales tells the story, when he asked a team of Wikipedia’s contributors in China how this could have possibly been mistranslated, they collectively came to the conclusion of “we have no idea”. I argue that Mr. Benson’s theory is as good as any. However, it doesn’t explain how other restaurants came up with a similar mistranslation since the one he ate at is not the only one with this mistranslation. Another blogger, Mark Liberman also calls out a mistranslated use of the name Wikipedia – “barbequed congo eel with wikipedia and Fermented bean curd.” While it sounds like a great deal at only 68 Yuan, I simply don’t think I am adventurous enough to try an order of “congo eel” even if this place makes the best tasting “wikipedia” in all of Beijing. I don’t order eel sushi and I am not going to order “congo eel” either. Blogger Chris Leo posts others that are funny too – the following are my five favorite. However, you can use Google to find a several more side-splitting translations, but beware, many contain vulgar language. (Proper English translation should be “Spring Chicken” or “Poussin”/”Coquelet” in French). They refer to young chickens which have been bred for eating (for less than 3 months). (Proper English translation should be “Freshly Stewed Pork-balls”) – note that it’s actually pork, but the fact that it looks like lion head, that’s why it’s called Lion Head (shizi tou) in Chinese. But in English, it would really be misleading if people mistake it as lion meat. (Proper English translation should be “Spicy Pork Lung-slice”) – it’s a Sichuan food. (Proper English translation should be “Chicken with Cashew Nut” or as it is known in the west, simply, “Kung Pao Chicken”). It’s actually a Chinese food of Shandong origin, but is often mistaken as a Sichuan food as it’s quite spicy. I don’t know its historical origin, but there must be a history anecdote that leads to why it was literally named “Court Abused Chicken”. (Proper English translation should be “Bean curd with spicy minced pork”) – it’s a Sichuan food.